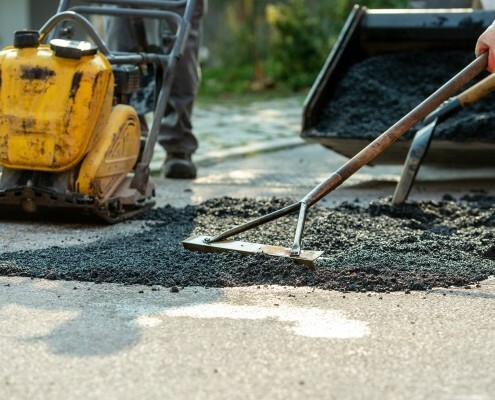 When you need asphalt repair & maintenance in Racine, Wisconsin; make Armored your first call. 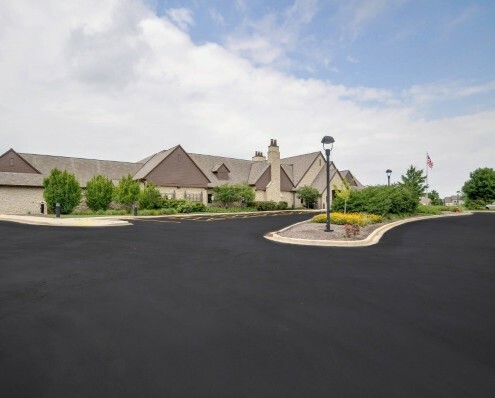 We’d be happy to give you a quote on driveway sealcoating, asphalt patching, or parking lot maintenance. Our professionals work relentlessly to provide superior asphalt services that prolong the life of your pavement and minimize your costs. Sealcoating is maintains the look and health of your asphalt. 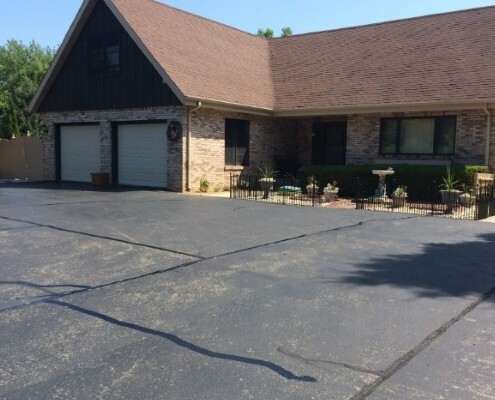 A properly seal coated driveway or parking lot is protected against damaging elements, like water, salt, motor oil, and UV rays; helping it last longer. It also improves the curb appeal of homes and businesses. When you choose Armored for sealcoating, you can go 3-5 years before your asphalt needs to be resealed. Cracks in your asphalt are more than an eyesore; they’re also the start to more serious pavement corrosion. That’s why crack filling is an essential part of every asphalt maintenance plan and performed prior to sealcoating. If you’re between seal coatings but your driveway is cracked, give us a call and we’ll come by to repair them. Armored Seal Coating provides asphalt patching and pothole repair services in Racine County and surrounding areas. It is important to repair and patch your potholes and similar imperfections as they can cause severe damage to your vehicle or become a safety hazard for pedestrians. After sealcoating your parking lot, our professionals will stripe it. Pavement striping helps control foot and vehicle traffic around your commercial property. We’ll maximize parking space and clearly mark crosswalks, handicap parking stalls, and fire lanes. 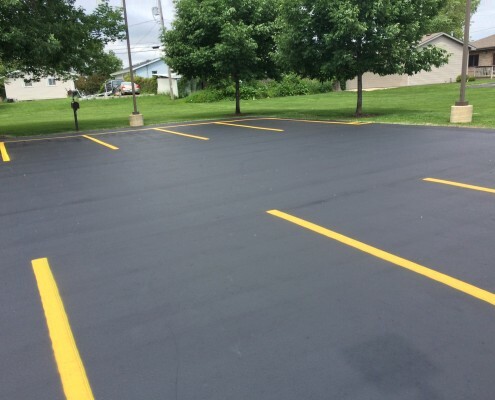 We’re happy to stop by and restripe your parking lot in between sealcoating jobs as well. Looking for firewood in Racine? We’ve got you covered! Armored has oak & hardwood firewood for sale. Whether you’re looking to stock up on firewood for bonfires or need a larger supply to heat your home or commercial space, we can help. 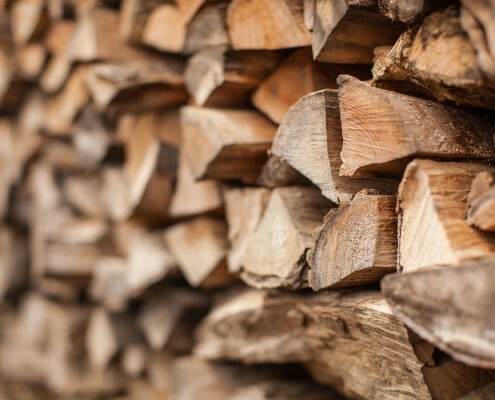 Don’t hesitate to call us about pricing or placing an order for firewood – we’re happy to help! 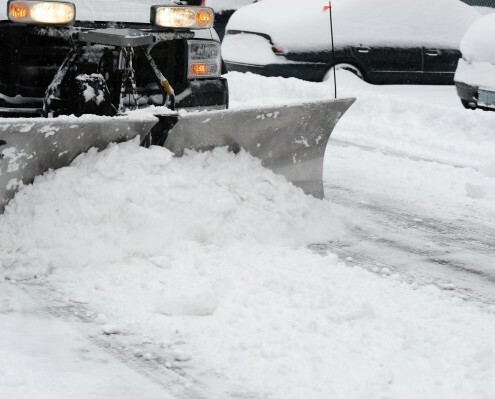 Armored provides snow plowing services in Racine, Wisconsin. We’re happy to help residential & commercial clients with their snow removal needs. Our winter services include clearing snow from driveways, parking lots, and walkways. We’ll salt icy patches as well. Contact us to discuss a snow plowing contract. Schedule an asphalt maintenance appointment with our professionals – contact us. We’re proud to serve areas throughout Racine County, including the City of Racine, Mount Pleasant, Sturtevant, Caledonia, Burlington, Waterford, and the surrounding areas. Give us a call at 262-515-4150 or contact us online to schedule your seal coating appointment!